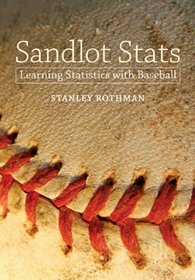 The blog that follows was written by Patrick Johnson, a student in my Baseball and Statistics course given at Quinnipiac University where I am a Professor in the Mathematics Department. I would be interested in your take on the controversy involving the Jackie Robinson West Little League Team. Jackie Robinson West (JRW), an all-African American team from South Side of Chicago have gotten their LLWS title revoked after a cheating scandal, where coaches apparently made district sizes larger to get more quality players. This is a very complicated subject, so I will start on the side of who really matters, the kids. First thing first, I do not believe taking away the trophy does anything to these kids. They have already gotten the glory and excitement that their trip through the LLWS brought. Most of these children are no longer eligible for the LLWS anymore either, so why does it matter what happened to them in the past. They have gotten the glory and the parade that Chicago gave them. They got to go to the LLWS and enjoy the festivities, on the roller coaster that landed them on top. These children have already been to the White House and gotten the glory and pride of winning the LLWS, which is the greatest moment in many of these children’s lives. While it stinks to get the trophy taken, these children have already gotten all the good that comes with winning the LLWS. The second point is, yes the coaches cheated by making an expanded bracket. JRW basically made up their district, making it extremely large, so they could have a larger pool of talent to pick out of. This is not fair at all. It is easy to do well, when your pool of players is twice as large as other places. However, none of these kids had anything to do with this. This was all of the doing of parents and coaches, who in the end stole the trophy from these children. This is not about the kids, but the parents that cheated so they had a better chance to win. While it is unfair to discipline the children for things their parents did, they did have an unfair advantage and sadly the team must accept the consequences of that. Next, this will not hurt the long-term memory of this Jackie Robinson team. While it may be mentioned that they did cheat, this team will be mentioned more than any little league team ever. I can personally guarantee that in the next 5 years there is a 30 for 30 based on this team. The most famous/remembered little leaguer of all time is Danny Almonte, who lied about his age and tore up the LLWS. These children will be mentioned more than any other team, which will give them a shot at redemption and chance to explain what happened. A possible positive outcome of this scandal is that this incident might provide a lesson for young children, showing them the negative results of when someone attempts to exploit or cheat the system. This could be used as a platform for these children to see action-consequence and paying for your actions. Sadly these actions were not done by the children themselves.